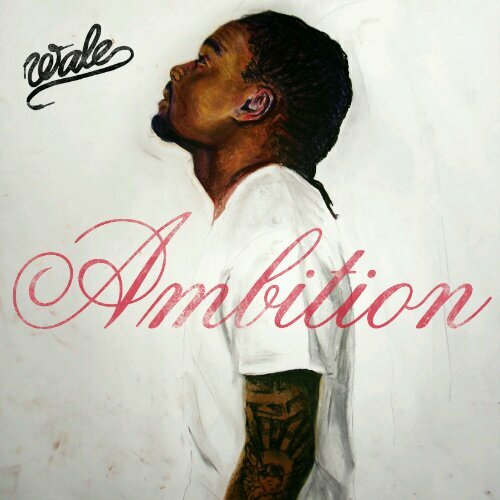 Album Review of “Ambition” By American Rapper, Wale. I Love Music, So Album Reviews Will Be A Big Feature of Nairanotes, I Know This Is A Bit Late But I Wanted Wale Folarin’s “Ambition” To Be The First Album I’ll Review On This Blog… I Had A Lotta Help From “The Music Geek” Himself, So Shout Out To Onos For This Piece. Ambition is a themed album about the journey of a driven individual towards his goals and the rollercoaster ride which ensues therein. From the die-hard attitude to succeed by any means necessary to the ups and downs of the inherent success and a few reminiscent capers, Ambition is an album that intends to motivate the everyday dreamer. The production has a massiveness and snobbery that fits the Maybach Music Group perfectly in their esteem of living good, living large and being a boss. But, on a less visionary stand point, ergo bringing down Ambition from the pedestal it wishes to stoop on; Ambition doesn’t fulfil the clout and buzz that it had before its release. This is not to say that Ambition is not a good album or that it is not musically savvy. But, this is to say that the methods used to express the lofty heights of Ambition were far too crude especially for the Calibre of the album artist, Wale. Wale established himself on his prior album and mixtapes as a deep, no-nonsense, down to earth, poetic genius with his epic wordplay, punchlines, innuendoes and graphically clear storytelling and song intentions. 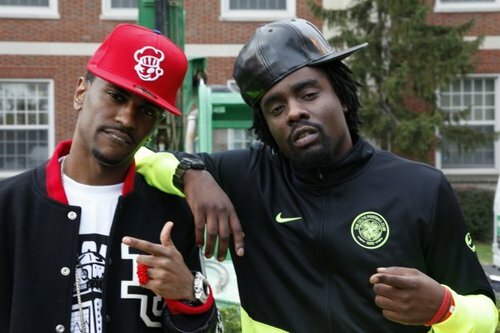 But rather, on Ambition, Wale exchanged a heavy dose of his deepness, well thought out poetry and wordplay for braggadocio, stories of lavish, frivolity, illusions of grandeur and a lot of weed smoking apparently; probably on a whim that his sophomore attempt at chart success and Hip Hop History should be far different from his first. (outshone) him. That wasn’t the only track that felt far off from his comfort zone or much better to say, excellence zone (style where he would triumph; imagine timbaland producing classical music, it might be listenable but Bach and Mozart are still the main G’s).To state a fact, Wale was outdone by every feature on this album from the melodious crooners, Miguel & Lloyd to double featured boss, Rick Ross and co-label mate, shouter extraordinaire, Meek Mill. To put this casket of an album to rest, I’ll say my final peace. Wale almost lost me as a fan but there are some biases I wish not to express that still keep him in my favourites. Kid Cudiwas a wasted feature on Ambition in my opinion, from him sounding like Roscoe Dash to his low participation in the track he was featured on. I was disappointed at his complacency and aloofness but can I really blame a “pot-head”? As individual art pieces, the songs don’t have that long lasting impression because of their experimental nature; so, a song you might have liked on first listen would soon be forgotten. And, I think that is because of the flawed method system mentioned earlier. For example, there are just some books that when it’s time for them to become a huge feature film, cartoons or CGI are picked over actors in live action so, need I say more? My only kudos to Ambition goes to the formula; the discipline in sticking to the script/concept and the fact that each track has the ability to win new fans; although, those new fans will not experience the true artistry that is/was Wale Folarin.